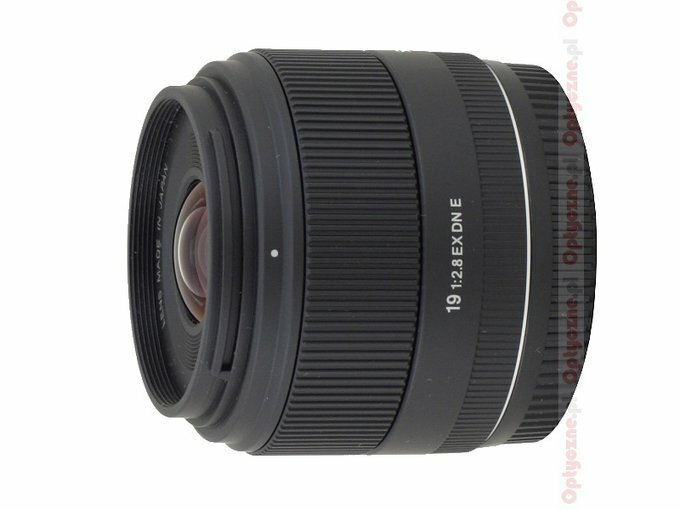 In January 2012 the Sigma company presented two new lenses designed for mirrorless cameras - the Sigma 19 mm f/2.8 EX DN and the Sigma 30 mm f/2.8 EX DN. To tell you the truth that launch took me by surprise. In the case of the Micro 4/3 system a small sensor allows to construct physically small and fast lenses so quite significant dimensions of the Sigma with the aperture of f/2.8 don’t fit here at all. In the mirrorless systems of Fuji, Samsung and Sony we deal with APS-C sensors but even here the f/2.8 aperture fastness is hardly impressing. Samsung proved that point constructing a “pancake” 2/30 lens which additionally is characterized by good optical properties. Taking it all into account the Sigma launches were a complete mystery to me. 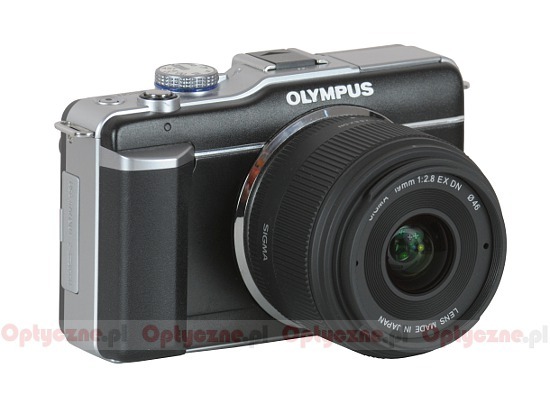 The mystery was solved at the beginning of February 2012 when Sigma showed its new compact cameras from the DP series, equipped with a Foveon sensor of the APS-C format. It turned out these are offered with 2.8/19 and 2.8/30 lenses. It seemed Sigma wanted to kill two birds with one stone. As they’ve already designed lenses to suit their own compacts, it wasn’t such a big problem to adjust them by adding other mounts. However, the situation is not as simple as it seems at first glance. Although the basic parameters of mirrorless cameras’ lenses and those of the Sigmas DP are the same, they still differ in some crucial points like the optical construction. Apparently it was easier for the Sigma optics constructors to change the whole construction slightly than to change the aperture or design a new lens from scratch. 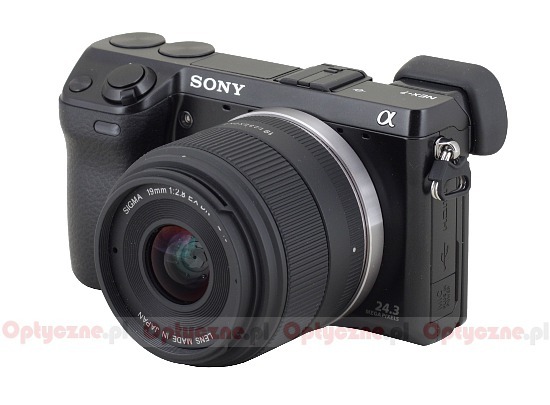 As the NEX system doesn’t suffer from the surfeit of lenses, the offer of Sigma might seem interesting to many owners of mirrorless Sony devices. 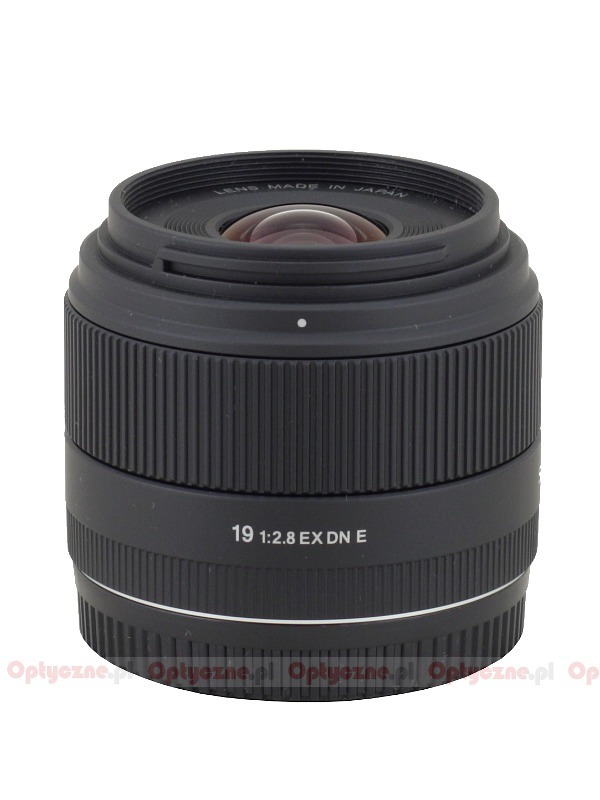 The 19 mm Sigma model can be also a sensible and cheaper alternative to the Panasonic 1.7/20 for those who have Micro 4/3 cameras. That’s why we decided to check its optical and mechanical properties. We would like to thank Sigma ProCentrum for borrowing the lens for testing purposes. You are also invited to get acquainted with our test procedure, described in the article "How do we test lenses?" If you feel it’s still not enough, please go to our FAQ section where you can find some further explanation..